After my long post yesterday about why we all need a Silhouette Mint, todays post will be a little shorter! 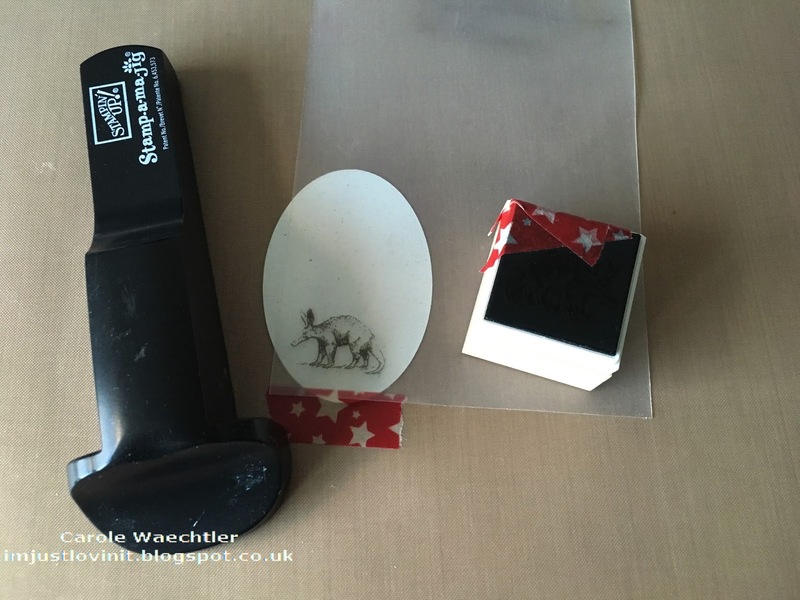 My aim today is to share with you a few projects you might see coming up on the TV show Hochanda, which I've made as part of the Silhouette Design Team. You will also see a few extra tips and tricks. The first picture shows some more tags, if you look closely three of them are exactly the same as you saw on my blog yesterday. The one in the bottom right hand corner is a bit different. 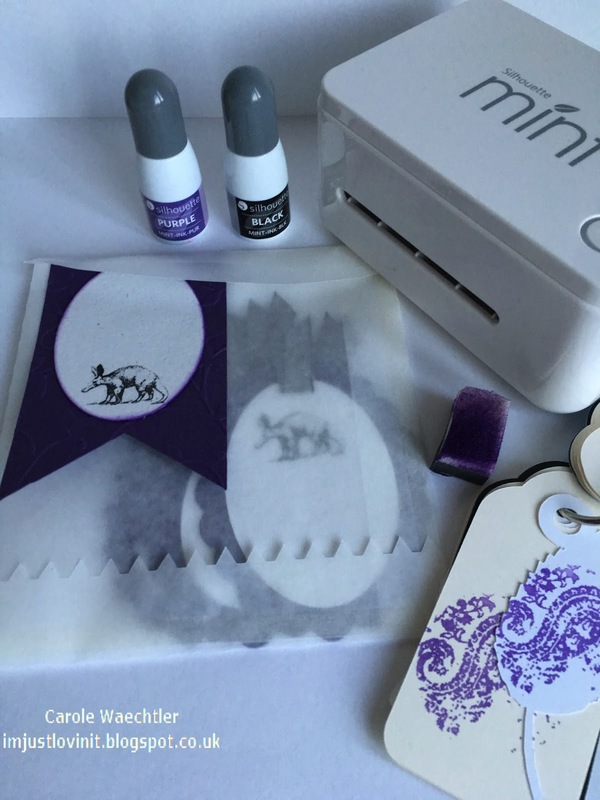 If you look at the stamp, which I've positioned on top of the different tag, on purpose, you will see that I've used some Washi tape to mask off the words before I stamped it. As a "stamper" I was blown away when I realised how easy it was to mask off these stamps. If this were a "regular" non Mint stamp, it would be much more difficult. If you're a stamper you'd know that, but for those non stampers out there, believe me....it's easy to mask off a part of the stamp, just like I've done here, if you'd like to! I was interested to see how easy it would be to use a Stamp positioner with these type of stamps, so I tried it....as you can see, easy again! Like in my blog post yesterday, I made another little bag and extra tag for the TV. Obviously I couldn't seal it, just in case the presenter wants to show the tags inside the bag. If you look at the tag on top of the little bag you might see that I've inked around the edge. This was to test the ink again. Last week the first thing I made was the colour swatch. 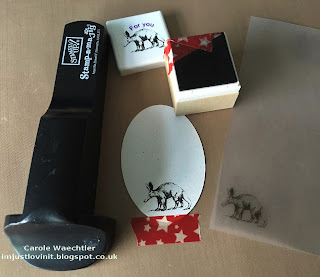 To make the swatch I used a small piece of Cut 'n dry foam to ink a 'regular' stamp, that same piece of foam, without being inked again was still wet enough, almost a week later, to nicely edge the white tag. The inks are slow drying it seems, on some surfaces. The ink dries very quickly on uncoated (slightly rough to touch) card stock, but smooth and coated surfaces seem to need a little extra drying time. The next picture shows what can be stamped in mass production. 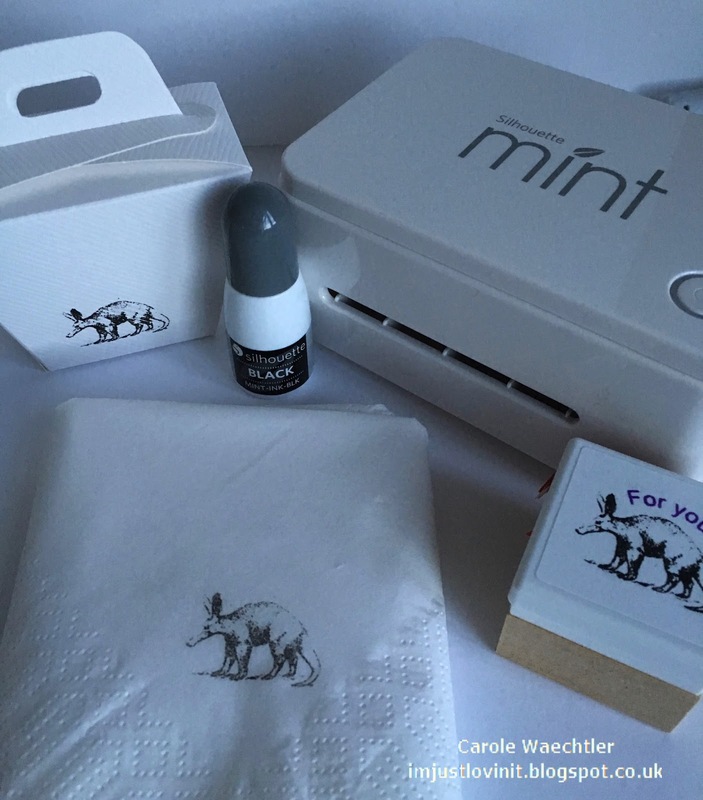 Just imagine those little Aardvarks could be the initials of a couple getting married, they could be a picture of you on your special birthday, they could be a number, they could be your logo....the list goes on. 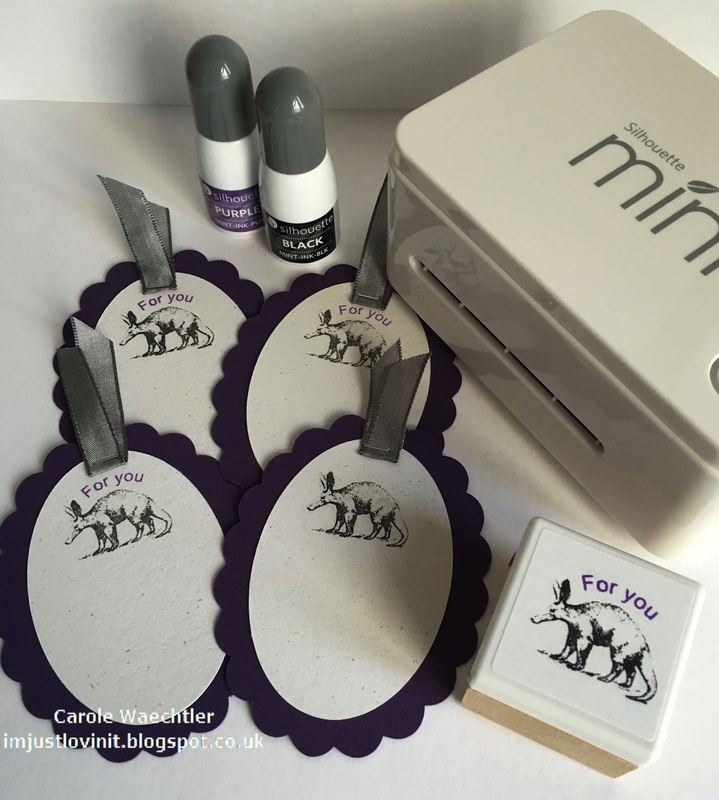 The little favour box was one I'd had for ages, I bought lots a few years ago for one of the stamping classes I taught, long before I had any Silhouette machine ;)! You can also see a regular serviette there too! I have many more ideas, come back tomorrow for a couple of simple ideas you can use a Silhouette Mint stamp for, see you then! 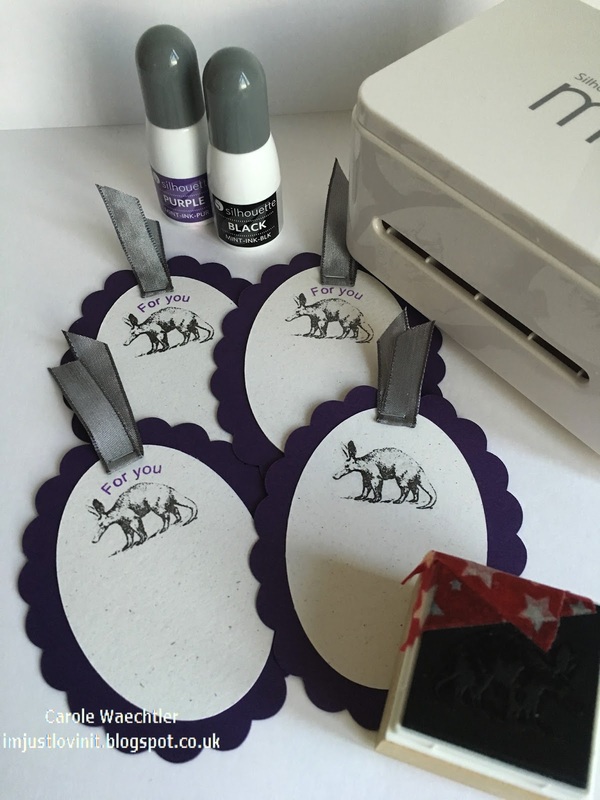 Happy crafting with your Silhouette machines ;)!